In this section we feature the best online bingo bonuses available. When you register and make a deposit at a bingo site you will be given a bingo deposit bonus, all bingo sites offer a bonus and they can vary quite a bit. Deposit Bonuses are given as a percentage for example 500%, 400%, 300% bonus, 250% bonus, 200% bonus, 150% bonus and 100%. To calculate your bonus you simply multiply the amount you are going to deposit by the percentage given. E.g. You deposit £10 and the sites bonus is 200% it would be 2 x £10 = £20. What is a bingo deposit bonus? A bingo deposit bonus is what most online bingo sites offer you when you first register with them, and they are a great way to try out online bingo sites for free. 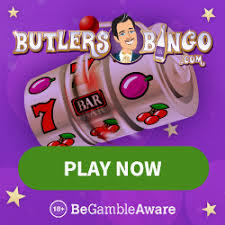 You can also get the option of no deposit bonuses but these are completely different to a deposit bonus, a free bingo no deposit bonus means that no deposit is required and you will be able to play at this bingo site completely free. At most of the bingo sites you would need to deposit funds first, to receive your bingo bonus. We try to make it easy for you, here at Best Offers Bingo. You will get all the latest updates about all the current bingo bonuses available at various online sites we list. We hope that this will help you in deciding which online bingo site you would like to register with. How do deposit bonuses work? Most bingo sites offer a bingo deposit bonus when you make your first deposit, this is given in a percentage. For example if a site is offering 100% deposit bonus and you deposit £10 you will get £20 of free bingo. 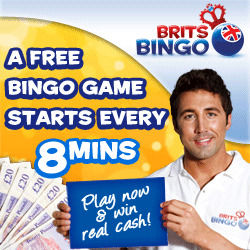 We highly recommend this as it will allow you get the maximum amount of free bingo from the site. You will often see a a 200% bingo bonus displayed as: Deposit £10 get £30 to play, this is your original £10 deposit plus £20 in bonuses. It’s less complicated than it sounds really and we have tried to help you by offering the ‘to play’ amount throughout the site so you can be sure of the bonus you will receive. Making only a small first deposit may even mean that you’ve missed your chance for the huge first deposit bonus, most state that the minimum deposit amount to receive the welcome bonus is £10. So, if you make a £5 deposit when you register at a new bingo site and the minimum deposit amount to activate the bonus is £10 you will not receive any bonus at all sadly. 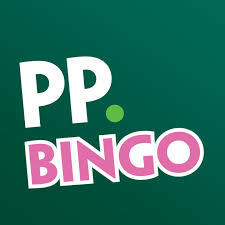 That said, there are a number of bingo sites that offer a minimum deposit amount of £5 in order to claim the bonus which will be featured in this list. If you are unsure make sure you double check before you make that deposit, details of the minimum deposit will be in the ‘promotions’ or ‘deposit bonus’ or ‘welcome offers’ section of the bingo site. If you still can’t find the information then you could contact the bingo site via live chat so they can confirm it for you. Recently many bingo sites including the biggest brands have increased their bingo bonuses, it’s not at all unusual now to see a 500% deposit bonus. One of the best deals we see is deposit £5 and get £30 free, proving the deals are out there for a low minimum spend. Please check the online bingo sites for their Terms and Conditions for bingo bonuses before making a deposit if you are not completely sure. You can also earn extra deposit bonuses once you are a member at many bingo sites, you can take part in chat games and the sites loyalty scheme to be offered further bingo bonuses at the site.